Cao Dang Duy, a qualified lawyer of the Hanoi Bar Association, is a Senior Associate based in Rajah & Tann LCT Lawyers’ Hanoi office, practising in both contentious and non-contentious matters. Duy possesses multidisciplinary experience, and is able to assist clients in both contentious and non-contentious matters. For non-contentious matters, Duy specialises in foreign investment, where he has assisted in facilitating and closing multiple M&A transactions across major industries. 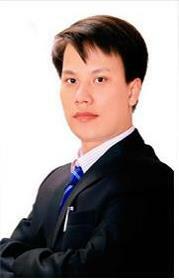 He is also regarded by clients for his responsiveness and expertise in particularly greenfield investments, and he has been behind the setup of a large number of companies in Vietnam. For contentious matters, Duy is able to tap into his experience in corporate advisory, labour, intellectual property, banking and finance, and M&A to assist and advise clients on a broad range of disputes. Together with Rajah & Tann LCT Lawyers’ top-tier Dispute Resolution practice group, Duy has been involved in the successful resolution and settlement of commercial disputes in Vietnamese courts of all levels. Advised a Vietnamese insurer in its US$95+ million divestment to a German investor, including conducting due diligence and preparation of transaction documentation. Advised VNG Corporation on its acquisition of a major Vietnamese company. Advised a leading Chinese cement manufacturer in its US$250+ million takeover of one of Vietnam’s largest cement companies. Assisted Fairfax Financial Holdings in its acquisition of a 35 per cent stake in BIDV Insurance Corporation. Advised a foreign joint venture party on its buyout of a Vietnamese investor’s equity in a major hotel in Hanoi, thereby creating a wholly foreign-owned company. Advised a foreign investor in its acquisition of a Vietnamese hydropower company. Advised a Singaporean company in the setup of a joint venture distribution company. Advised a Hong Kong company in the setup of a joint venture logistics company, and subsequent conversion into a wholly foreign-owned company. Advised a Singaporean company in its setup of a logistics company. Advised a Hong Kong investor on expanding its trading investment project in Vietnam. Advised a Singaporean company on the closure of a branch and dissolution of its subsidiary in Vietnam. Advised a foreign entity on setup of its representative office in Vietnam. Advised a Singaporean hospitality company on its buyout of a Vietnamese investor’s equity in a restaurant chain in Vietnam. Advised a European cement company on onshore competition law issues, including merger notifications, on its global merger with another cement company. Advised a numerous Singapore companies on Vietnamese competition law, including legal trainings to employees. Advised a number of foreign franchisors on their franchising activities into Vietnam. Advised an English company on a recall of its defective projects in Vietnam. Advised a number of foreign entities on the registration of their trademarks at the National Office of Intellectual Property of Vietnam. Advised a number of Vietnamese companies on applying for work permits for its expats. Advised a local and international clientele on various matters, including commercial and corporate compliance, labour, tax and insurance matters. Advised a Japanese company on a short-term offshore loan of US$15 million with a Vietnamese company. Advised a Cayman Islands company on the restructure of a long-term offshore loan of US$10 million with a Vietnamese company with an Island corporation. Advised a Hong Kong company in the restructure of a long-term offshore loan of US$6 million with a Vietnamese company with a Hong Kong corporation, as well as cross-border security arrangements. Advised a Taiwanese investor as lender in a US$15 million project financing for a BT project in Quang Ninh Province. Advised a Vietnamese financial institution on its VND 575 billion loan with EVN for the financing of a power plant in Vietnam. Advised PetroVietnam Drilling in a US$17+ million project financing for the development mof a drilling plant. Advised a Malaysian company on financing matters with lenders for implementing the Duyen Hai 2 BOT Project including the offshore facility agreement and security arrangements. Assisted a Japanese company in a dispute in connection with its transfer agreements with a Vietnamese party. Assisted a Singaporean real estate developer on multiple tenancy disputes. Advised a Japanese company in a dispute in connection with domain name squatting by a Vietnamese individual. Advised a Singaporean bank in its dispute with a local trading company regarding payments via a documentary letter of credit. Advised a Singaporean company in its dispute with a Vietnamese trading company regarding a sales dispute. Advised a group of Japanese entities in the investigation for applying safeguard measures initiated by the Ministry of Industry and Trade at the request of the domestic steel companies. “M&A transactions – Legal notes on competition”, Saigon Economy (Ho Chi Minh City, Vietnam, Dec 2014 (published in Vietnamese). “Risks in dual nationality”, Saigon Economy (Ho Chi Minh City, Vietnam, 31 July 2016 (published in Vietnamese). Vietnam publishes draft transfer pricing law to combat tax avoidance, MNE Tax (23 November 2016) (published in English).